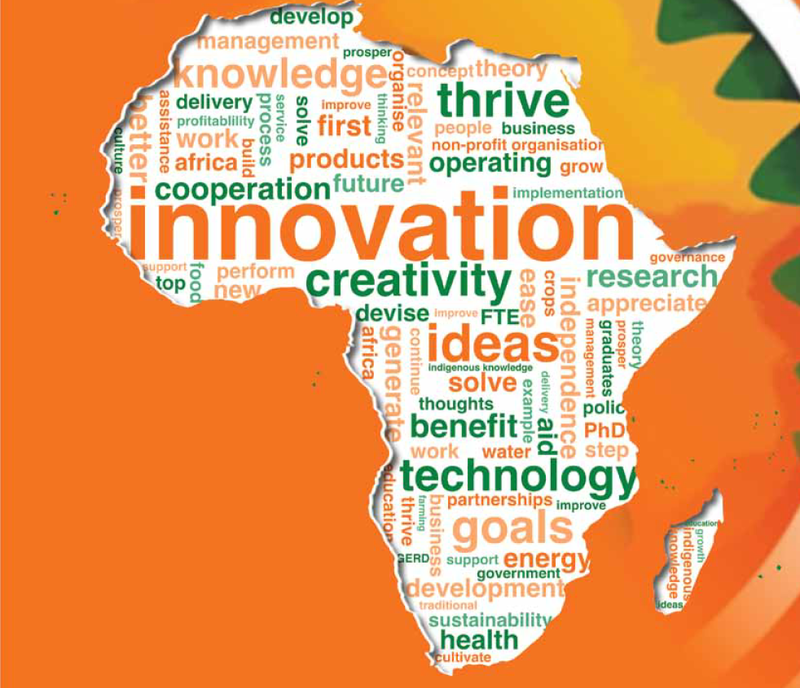 The African Science, Technology and Innovation Indicators (ASTII) Initiative was launched in 2007 by the New Partnership for Africa’s Development (NEPAD) as one of the programme areas of Africa’s Science and Technology Consolidated Plan of Action (CPA). The ASTII Initiative supports both evidence-based STI policy formulation and review; enhances regional cooperation and collaboration on S&T and innovation activities or programmes; strengthens Africa’s human and institutional capacities for STI indicators and related surveys; contributes to the production of reliable African STI indicators and related data sets available and in use. Under ASTII participating countries undertake R&D and Innovation surveys to produce the data needed to compile indicators on the status of STI.This Policy Brief shows that ASTII has stimulated AU member states to start conducting R&D and innovation surveys and to build national capacities to inform STI policy formulation and review. However, AU members states are hampered by a number of challenges in their efforts to transition their economies, and these include the limited resources of the responsible bodies to collect and analyse data from R & D and Innovation surveys at national level. Since 2004, CTA has contributed to building ACP capacity on understanding, analyzing and strengthening agricultural, science, technology and innovation (ASTI) systems. CTA has supported the conduct of numerous ASTI case studies focusing on various agricultural commodities of importance to ACP countries using the innovation system approach. From June 02 – 04, CTA will convene the 2nd workshop on Performance Indicators for Agricultural Innovation Systems in the ACP Region – Phase 2 to build on the outputs and lessons learned from the 1st workshop to advance the process of developing a generic framework for monitoring and evaluating innovation performance of ACP Agricultural innovation systems. In addition, the workshop will select indicators to measure the contributions of system actors to system performance, especially the S&T/ARD actors.The workshop objectives are: To review, refine and finalize the generic innovation performance indicators framework for measuring the performance of agricultural innovation systems (AIS) which was developed in the July 2008 workshop. To select performance indicators for monitoring and evaluating the contribution of S&T/ARD actors to AIS performance. To design and define a methodology for monitoring and evaluating agricultural innovation system performance and the contribution of S&T/ARD actors to system performance based on selected performance indicators, which can be piloted by ACP organizations using a case study approach. To formulate a strategy and plan of action including resource mobilization to pilot and test the methodology and capture lessons for further refining the generic innovation performance indicators framework and providing information for ST&I policy and decision-making. Synthesis Report of the International Expert Consultation Workshop at CTA Headquarters Wageningen, The Netherlands, 15-17 July 2008.As there was no consensus among experts on several issues concerning AIS and more specifically on AIS performance indicators and the mechanisms for monitoring and evaluating the contribution of actors to the system performance, this workshop's objectives were To consider, review and agree on key concepts – innovation, innovation system, innovation system framework, innovation system performance – in the context of ACP agriculture. To identify – input, output and process – performance indicators and mechanisms for monitoring and evaluating performance such that they can be piloted by ACP national organisations. This synthesis report presents the outputs of the workshop and ends with a section on the way forward as suggested by the workshop participants. It also includes a first attempt to come to a consolidated generic framework on AIS performance indicators, based on the outputs of the different working groups. The success of CTA's ASTI training in 2004 and follow-up case studies led to requests from ACP stakeholders for CTA to expand the outreach of the ASTI training. In 2005, CTA and the Royal Tropical Institute (KIT), revised the training programme, updated the methodology for analyzing the ASTI system and launched a series of sub-regional and regional training workshops for the ACP region. See document below for the ASTI training of trainers manual. In the period August - Octber 2006, CTA organizes four regional Training of Trainers Workshop on Agriculture, Science, Technology and Innovation (ASTI) systems in Africa, the Caribbean and the Pacific. This Training of Trainers / Facilitators module integrates the three training modules on Analyzing the ASTI systems, Demand-led Research/ Research Priority Setting and Farmer Experimentation and Innovation and is the combined work of experts from CABI in Kenya and KIT, Vrije Universiteit, Wageningen University International (which joined the expert team in 2006) and CTA, all based in the Netherlands. CTA launched the first of four regional Training of Trainers Workshop on Agriculture, Science, Technology and Innovation (ASTI) systems in Africa, at Sokoine University, Tanzania, from 7 - 11 August 2006. This Training of Trainers / Facilitators workshop integrates the three training modules on Analyzing the ASTI systems, Demand-led Research/Research Priority Setting and Farmer Experimentation and Innovation and is the combined work of experts from CABI in Kenya and KIT, Vrije Universiteit, Wageningen University International and CTA. Comments from the ACP community were incorporated in the development of the module. >>Read the course overview. See document below for the final course programme. In 2004, CTA commissioned UNU/INTECH to develop a methodological framework for analysing the Agricultural, Science, Technology and Innovation (ASTI) system in ACP countries. A revised analytical framework was approved by the Advisory Committee on S&T for ACP Agricultural and Rural Development in November 2005 and paved the way for the launch of four new case studies; two in Africa and one each in the Caribbean and Pacific regions, which will be completed in the second quarter of 2006. This research project aims to build ACP capacity to better understand the strengths and weaknesses of the local science, technology and innovation system in the agricultural sector. The results of the study should provide information on the nature of the system as well as alternative approaches that might be considered, with regard to complementary policies, programmes and support organizations that could contribute to strengthening the agricultural science, technology and innovation (ASTI) system, especially with regard to the sub-sector, commodity or products which are the focus of the analysis. It should also provide one set of inputs into future policies governing agriculture and science, technology and innovation and should demonstrate to all stakeholders the need to focus science and technology developments on the agricultural sector and more specifically as they relate to agricultural trade, competitiveness and food security within the context of broader development goals. This document describes the methodology for a case study to be implemented by the partner ACP institution. The relevant term of reference is: ' Develop a methodology for the conduct of a case study by an ACP institution in each of the two target countries for developing and implementing demand-led research programmes for one selected sub-sector and bringing relevant issues to the attention of policy makers within a minimum of 6 months following the training intervention. This activity will serve to evaluate the success of the training intervention in three critical areas; research priority setting, involvement of other actors in the decision making processes, and influencing policy makers.' The key elements required of the case study are therefore: Developing and implementing demand-led research programmes; Bringing relevant issues to the attention of policy makers; Research priority setting; and Involving other actors in the decision making process. The case study is to be completed in six to ten months after the training course, so the methodology is designed with that timescale in mind. Significant policy changes and realignment of research priority setting procedures in national agricultural research systems are processes which can take years to achieve, so the case study methodology is also designed with the aim of initiating changes that should develop and mature long after the case study is complete. The methodology is therefore designed not only to provide an achievement within the life of the case study, but to set the scene for longer term individual, organizational and institutional changes that will enhance the collaboration between actors in the ASTI system. Through the S&T Strategies programme, CTA supports the ACP region in placing greater emphasis on the application of science, technology and innovation (ST&I) for meeting their developmental goals. The Centre recognizes that lack of a sense of ownership of S&T policy plans and inadequate networking at the national, regional and international levels are hindering ACP countries from participating in the S&T policy dialogue and from determining appropriate strategies for transforming their agricultural sectors (in Knowledge for Development, November 2005 / Vol. II). In February 2004 CTA launched a new initiative that aims to build the national capacities in ACP countries to undertake analyses of agricultural, science, technology and innovation (ASTI) systems and to provide sound information to enhance S&T decision making. This is a collaboration between the United Nations University Institute for Technology (UNU-INTECH), national institutions in ACP states and CTA. The project is funded under CTA?s Science and Technology Strategies programme.